Little Oaks is a nurturing environment where children are introduced to ‘big’ school life. The Grade R department is a part of the Foundation Phase yet they are separate allowing children to grow at their own pace as we prepare them for Grade 1. The programme at Little Oaks is designed to encourage a passion for learning and enjoyment of the school environment. We are very privileged to have such an extensive and stimulating range of educational media and outdoor equipment available to our children. Lots of learning, gaining new knowledge, developing important language, mathematical, social, emotional and physical skills takes place on a daily basis. We work alongside the Caps Curriculum, also adding in our own original and exciting themes like Funky Fridays involving the whole of Grade R which are a great hit with our children. Co-curricular activities include weekly visits to our library, music, art and sporting skills. These activities add extra fun to our programme and help integrate learners into the bigger school environment. 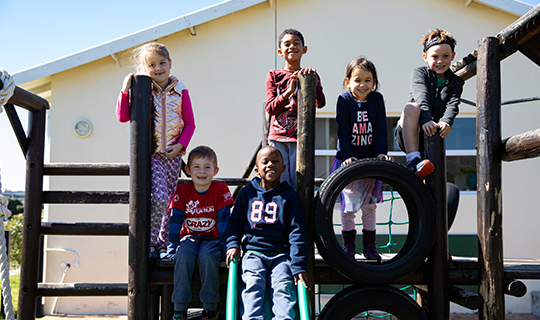 We have a comprehensive offering of extramurals for our Grade R learners which are provided by private organisations; they include tennis, ballet, gymnastics, tag rugby, fit kids and cricket. Our Little Oaks staff are an amazing team. They are dedicated, nurturing, energetic and above all share a passion for teaching our little people. We are proud to be part of this very happy educational environment . The wheels of learning and fun never stop turning here at KPS Little Oaks.